The New Year is fast approaching. It is 2:30 in the afternoon, New Year's Eve. Another fresh start. Forget about the mistakes and lost chances we let slide by. We start fresh anew, now. We have a chance to make up for the chances we did not take all of last year. We will prosper this year. We will try harder to place our loved ones on the top of the list to let them know how much we love them. We will build our relationships every day. We will do today, what we failed to do yesterday.We will change for the future! We have another chance to make things right! We will do it this time. It is easy to wish for change, but a lot harder to make that change. We have the willpower to change. We just have to initiate that change. I have made up my mind to make my change. I have started going to the gym to build up my body again after years of neglect. I have made a vow to build my business every day. I have made a commitment to change my life for the better, and by golly I am going to keep it. This blog is the greatest thing I have ever done to keep me on the manic side of my life, and never go to the depressed side ever again. Find in your life what you need to stay charged up and positive. It is a good feeling I want to share with you. Find out how to enjoy life when you are in charge of your living years. Thank you, and have a great 2014 and all the future years to come! Like this will be the last time I have something to unload about. This is my fourth blog tonight! I always have something to say. We will have the three grandchildren today so I may not be able to get on the computer for a while later today. The girls still fight over using my Mac. I figured once Mary got a new laptop they would not want to use my old desk model. This is the third year for this unit. It is good for me, but you know youth, they always want the new one. It is 2:16 in the morning and I am alone again, Mary is working tonight. She has off tomorrow night so we will try to stay up 'til the new year arrives. I get to see it most years, barely making it some years. And other years staying up all night. The terrible three year old grandson will be here. I hope he goes to bed before midnight. We can't stand him when he stays up too late. You know what I mean. I have had a very good year 2013. Finding a lot of friends and making major changes that are improving my life. Being on group calls and relating what I am doing in my business. And finding what is working for the other business owners. When we talk, you would think we have known each other for years. The relationships help boost the spirits of everyone on the call. We all come away with renewed vigor to continue our quest to better our businesses. To work harder to make our business better than it was yesterday. All the people that make the calls are the people that are really serious about furthering their business. We want to make it a full time income to give us a better life. To live the American dream. To be in charge of our life and income. And we will. We have a "stick to it" attitude. 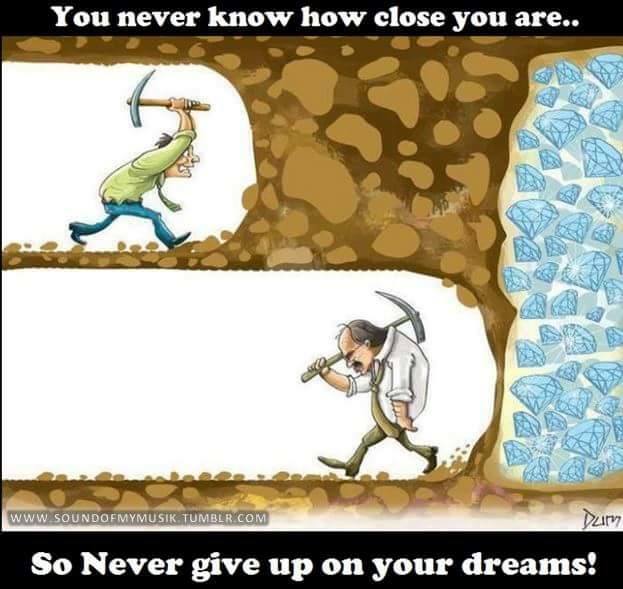 A never give up dream that this year it will happen! And by golly it will. 2014 will be our year. I can feel it. It is our time. We will not let it slip away, because we want to make it with a passion. Henry Ford said, "If you think you cannot do it, or you think you can, you are right." We know we can do it! And we will! We will all have a great year! I don't have New Year's blues this year. I am up (manic). I don't have time to be depressed. I am too busy planning how I am going to build my home-based business in the coming year. I keep a million dollar bill beside my keyboard to remind me I plan on making money this coming year. If you want a million dollar bill to jog your subconscious mind go here and get a reminder for you to look at every day and set your mind to the fact you are going to make money too. 2014 is going to be the year we show everyone we have made a vow to do whatever we need to do to make our home business prosper! We will survive! And thrive! Marcy told me to blog every day, and I have come close to doing what she says. Very few days I have not written my feelings down. Here it is, the night before New Year's Eve, and I am on my third blog today! I am holding up my end of the bargain. I am doing this because I want to build my business. 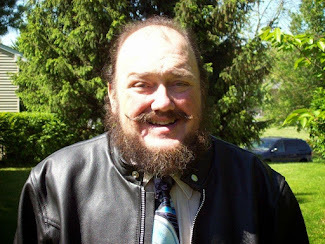 I am on social security disability because of my motorcycle accident, and my arthritis that I have had since the age of eight is crippling me more each day. I cannot work outside the house on a regular job anymore, but I am building my business. I can sit at my computer, and I can use the telephone. I am getting people to my blog to read about my trials in life, and introduce them to my websites. If you think you cannot sell anything to build your business, you are wrong. If I can talk about my business to the doctors and nurses while I am in the operating room getting ready to be knocked out for my operation, I know you can do this business too! You just must feel the passion for your business that I have. The passion to control our own destiny. To no longer have to answer to a boss who does not care about us. To run our own life. To fulfill our chance to have a home business that we control and have what we want and deserve out of life. Don't do like I did and hesitate for six months to make the decision to get started, and lose that valuable time. Start the new year with a plan to better your and your family's place in life. Together we will improve the life we have! Motorcycles Kill, but So Do Cars and Trucks!! Anything with wheels and an idiot operating it can kill! I lost five friends when I was single and running around. Only one was killed on a motorcycle. The other four died in car accidents. How we live and die is something that is not always decided by us. Usually we decide how we can live. Sometimes others help us decide, and it is not always good for us. I have been very lucky in my living years to always come out on top. Not all the so called "accidents" were my doing. I have lamented on a lot of them in other articles on this blog. 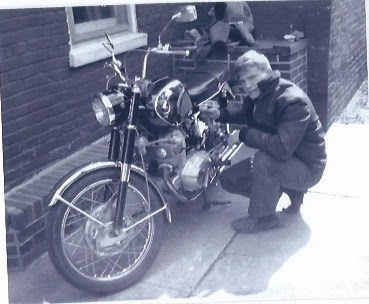 My dad also told me after my first time laying down the bike, "It is 'when', not 'if' you lay down a bike. Bikers know this fact for sure. He was coming home from his machinist job in Virginia. It was late Friday night. He was doing about 70 miles per hour, wanting to get home in a hurry because it was cold. As he rounded a curve on the old Lincoln Highway in York, Pennsylvania, a pig ran across the highway and he hit it, and flipped himself and the Indian motorcycle. When he slid to a stop, and checked what was working and what was broken (which was his leg), he looked through the darkness to see the pig get up and run away. He said that what made him the most mad was that the pig could still run away, and he could not even get up. Now you see a little of what makes us up. No wonder the shrink I had to see when I got my stomach stapled said I have a strange sense of humor. It runs in the family. Yes a lot in this life can take the living years away from you if you are not careful. That is why we should enjoy the time we have and treat everyone like we want to be treated. That is why my wife and I help people when they need it. Later I will tell you about all the people we took in over the years that needed a temporary home. It feels good to help someone who is down and almost out. I live about six miles from Lititz, voted the coolest small town in america. It is a great small town. Just like Manheim, where I live. Small towns are nice because you have what you need to live comfortably, but not all the people of the big towns. We live about four miles out of Manheim, far enough away, but not so far when the kids were growing up and in sports that we had to drive so far to drop them off. I have my primary insurance of Geisinger Gold. Got a call from them this summer for a check-up from a nurse practitioner to see if I was getting all my benefits and how I was doing. She told me they have a plan called Silver Sneakers that I could join the Lititz Rec Assoc. at no cost to me. I figured it was worth it since I was changing my life. My hair was not silver, just skin colored, but they let me in anyway! I work out Monday, Wednesday and Friday. You know the three days ending in day. LOL Christmas week I did not workout, and the week before that I was only there Monday. Today when I tried to catch up for my missed days, I really felt the time I missed out. I had to rest in between machines, and could not do as many reps as I had when I was going every other day. I will try harder to not miss any time, as it hurts too much to play catch up. I gave Karen my blog site and said I was going to write about my experience there. She said will it be good or bad. I thought it is always good when young fit looking women tell me what to do. I view all women as being young and fit. Just because a lady is older and not as shapely as when she was young, I believe she is a great example of the feminine mystique. You know I have this thing about women ordering me around! Sorry Rob. Karen don't read the part about me missing my workout days! I feel better now that I have done my share of shaping up today. I might stumble, But you know I will not give up ever again. My life is renewed and I will not fall into the horrible pit of despair ever again. With the strong women I associate myself with now, and even Rob to help me out and keep me on the straight and narrow I will survive! Even surpass what I have done earlier in my life. You need to find friends like mine and work and strive to better your life. I did and it feels super great. My wife Mary is going to see if we can afford her joining till she gets Geisinger Gold insurance when she retires next year. If she is going with me, I will not miss any days. She will see to it. I know you ladies get a kick out of Mary keeping me straight. We men need strong women guiding us, we don't know enough to survive without strong women at our side showing us the way! Thank you Lord for giving me enough brains to get hooked up with a wise woman all these years. She has done a great job of keeping me in line, and alive. Now she has some help to keep me going in the right direction. Like Karen said to me at the gym today. "You're funny." Kidding around is my way of keeping sane in this crazy world! So far I think it has helped.What do you think? Well it is another saturday night. Mary is sleeping because she works tonight. It is funny how your priorities change with age and responsibilities. I can remember when I was between 16 and 22 years old, how I thought my life would end if I did not make it into town to see and be seen on the Loop Route. I had a hot car with "Hoss" on a plate on the front, so everyone knew it was me. Everyone honked and yelled to see me again. I thought they cared, but they were just lonely like me. Looking for something. We did not know what. A place to belong and be recognized. Mary has worked almost every other weekend most of her life. I worked a lot of overtime too. We wanted to provide for our kids. And we did pretty good at it. Except the 3 years I took my electric business full time. Lost a lot of money. Still paying it off. We don't believe in declaring bankruptcy. When I worked for a potato chip company, the owner had a lot of businesses, and he had a flying service and his guys flew me around to do repairs. I thought that was great till we almost crashed because of the freezing rain on the wings. I said I took a lot of chances over my lifetime. Glad HE was looking over me all the time. My wife is getting supper ready now, heating up leftover Christmas dinner. It is 7:30 PM. She leaves for work at 9:00. We do not get to eat a lot of meals together quietly, so this is special. When we have the kids over it is usually hectic. I took the kids home at 3:30 tonight. My wife just got up. It was 58 degrees and I saw three motorcycles out crusing around. I could not afford to pay my cycle insurance in November so I let it lapse. Will pick it up again in spring. Can't go too long without my two-wheeled fix. It has been my fix for close to 50 years. Everyone needs something. Its just that most of mine are dangerous. I told you I am an adrenaline junkie! Unfortunately it is passed on to offspring, somewhere down the line. It is going down to 28 degrees tonight, and freezing rain expected. Set my alarm for 5:00 AM so I can check the suicide driveway, so Mary can get up the hill into the garage. She keeps a set of spikes for her shoes in the van. She said one night the other week she was glad she had them. Really icy at work. I like to be prepared for anything. It has saved us a couple of times when we had what we needed for an emergency. Right before Christmas, a friend's wife was getting the mail across the street and was hit and killed after dark. The 22 year old girl did not see her and hit her full force. The speed limit there is 55 so there was no chance for survival. She was 64 years old. She and her husband were getting ready to go to Florida for the rest of the winter. Remember to be careful, and tell the ones you love, so they know what you feel. You never know when your time comes. Like I said, I told my dad I loved him about a week before he had the last stroke that took his life. I was so glad I verbalized my feelings. It still hurt to lose my father, but it felt better that I let him know how I felt. I am alone tonight, but I am not lonely anymore. I know I have a family that loves me. There is no better feeling in the world than that. I have a lot of friends who have a great business and money in the bank, but they gave up their family to get it done. I don't have a lot of money or prestige of a thriving business, but I have family. To me the family is more important. It took me a long time to realize that too. Never thought I could think this deep. Marcy you know how to push the right buttons in me to help me. And Donna and Rob, you know how to make me appreciate what I have. The three of you are good friends. And Rob is right, 2014 is going to be a great year. I can feel it! Christmas night, all the kids and puppies left, and the house was quiet except for the thirteen year old granddaughter. I could get back to my computer which I ignored all day. I sat down and tried to sign in. I got a message, no Internet connection! My oldest son installed passwords on our wi-fi so that we won't have trouble with e-mail being corrupted again. I figured that a lot of people were on, and something happened. I tried several times the next three hours. Same message, so I went to bed. Figured I would try again in the morning. No good in the morning: same thing. I moaned because it had snowed again, so I got ready and went out to clear the snow, especially from my suicide driveway. It took about an hour and a half to do my driveway, three neighbors and the circle. When I came in, Mary said I must go pick up the eight year old granddaughter and puppy. So I left. When we got home I tried again: same message. I asked Mary to look at it. She said, "Did you set up your account?" I had asked her last night if I needed to put in password every time I logged in, and she said no. Communication jumbled up sometime. We guess the other knows what we are thinking. So bad outcomes (usually for me)! She showed me how to get the site and put in the password. I guess last night she figured I know how to do it. I got on. When I tried to log on to write this blog, I had to sign in again. I guess I will have to every time. At least now I know how! I went through withdrawal symptoms. All the thoughts going thru my mind a mile a minute, and no place to put them down! Well, another adventure of mine to laugh about. The ladies on my team will get a kick out of Mary having to save me again. I know I depend on her a lot. Just glad she puts up with me. Yes, I feel more relaxed now that I can blog again. I need to vent, and this is the perfect outlet. Well, the three year old bullhead grandson is coming over tomorrow night. We'll have lots of yelling and fighting. He likes to get his way. Unfortunately he is usually in the wrong. Don't you just adore the terrible threes? Glad I was an adorable kid at that age! My mom just remembered my behavior wrong! Thank you for letting me vent again. That is why Marcy said to make this Randy's Ravings. In the short time she knew me before we started this blog, she already knew my behaviors. I hope my shortcomings give you strength to go on. Like me never give up, but with age we learn when it is wise to run so we can fight another day. Change your life for the better. I did! Do it today, don't wait and lose valuable time like I did. We were awakened by people talking and yelling. Half asleep, we picked ourselves up and stumbled out from under the boardwalk to see what was happening. Emerging into the brightness of the new day, we saw a crowd of young people at a makeshift stand, erected haphazardly on the sand. We moseyed on over to see what was going on. What do you know, it was two young guys selling bottles of beer. Since we were thirsty and hungry of course we wanted some of the forbidden brew. We were too young to buy the tasty concoction ourselves at home, so we jumped at the chance for a brew! Even though it was expensive we purchased two bottles to partake of the nectar of the gods. It tasted great to us. Beer on vacation made our day, and the day had hardly started yet. We finished our brew and strolled off to the boardwalk to see what other trouble we could find. Sitting on the bench of the boardwalk we feasted our eyes on the waves hitting the beach. Suddenly three jeeps came into view from the under the boardwalk and progressed toward the crowd of people chugging beer at the stand that we had just left. They were local police. It seems the beer stand was just a couple guys illegally peddling beer to underage teens. Everyone there was being arrested. The sellers and the buyers. Thankfully we had left just in time to avoid another problem. Arrest for underage drinking. We lucked out again. Pretty much the rest of the day was uneventful. That night we stayed in a student house that Bob knew of. It was cheap and had ten beds in each room. Sunday we again roamed the boardwalk and saw the sights. About five in the evening we left for home. We decided to leave early because we could not make it the whole way home without getting gas. Since on the way down at night, we ran out of gas and were siphoning gas from the hoses of a station that was closed and a policeman stopped and asked what we were doing. He must have felt sorry for us at three in the morning because he waited while we got enough gas to continue from draining the hoses at the shut off pumps. Saved again. HE was watching over us even then! We were waiting to cross that six lane highway again, about half way home. When the light turned green I eased the clutch and started forward. I pulled in the clutch and hit second gear and left the clutch out. Nothing had happened. I never miss a shift so I tried third gear. Same thing I had no forward motion. I was far enough along to coast over to the side of the lane. Something was wrong. When we were safely across and pulled over we looked back. Something long and black was lying in the lane we just coasted from, and a car ran over it and it bounced along the road looking like a snake. Horrified, we realized it was my drive chain! Bob darted between the cars and retrieved the precious chain. Without it, we were not going anyplace! Thanks to Bob's genius at anything mechanical we patched the chain at the house of a guy we just met, who had compassion enough to help two bikers down on our luck again! [Again, thanks for spell checker making this story readable.] We lost about two hours fixing the chain. We took three links apart and patched the chain. From all my wheelies and burnouts I had stretched the kinks enough, and one finally gave out. We were mobile again. Thank you Lord for watching over us again. The rest of the way home we did not get into any trouble. Every now and then my life is uneventful, thank Goodness! I took it easy on the chain so we would not break it again. Funny it lasted another three weeks at home before I had the money to get another chain. See what I mean about when Bob and I get together, we have fun-filled adventures that make great memories. After his dad died I was checking on his mother weekly here because he was back in his home in Florida. She said one time I was visiting, "I am glad you guys settled down. I need Bobby to take care of me. I don't have to worry so much about you guys, since you are not being as reckless together." I guess age does mellow us some. Bob still stops in to see me at least once a year, over the summer. He is on his second marriage. I'm glad he found a good life partner again. We all need someone to help us navigate life. Well another chapter in our life, for future generations to learn about their ancestors. I hope my ramblings have helped you too. 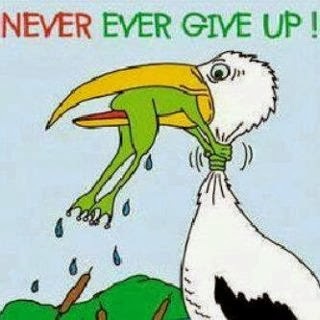 You can see no matter what life throws at you, with help you can survive, if you never give up! I'm sure I forgot some bad things in my life, it is good you remember more of the good than the bad. We had planned a trip to the shore for the last good weekend before the winter season started. I got off work at 3:30 Friday afternoon, as usual. Bob was working at the cycle shop till 8:00 Friday night. We planned to leave after Bob got his things, and we were ready to leave at about nine o'clock. The last adventure of the summer! We were ready to have a good time, as usual. We left my parents house and headed eastward, on the route we had taken so many times before. It was dark, and at night we could make better time. Instead of four hours we could trim the time by exceeding the speed limit just a little bit. We were not really breaking the law, just bending it a little bit! As we passed familiar territory the miles sped by. We were free for two days. Adventure and good times called our names. We were taking our hard earned reward for being good working class guys. We had earned this and were determined to enjoy it. Nothing would stand in the way of us enjoying ourselves. As the miles racked up we came into a small town, and slowed down to watch for cops and speed traps. As we entered a curve in the road in the middle of town, a beat up old car approached that was smoking so bad I had to slam on the brakes as it was so cloudy I could hardly see the road! So began the first of many adventures we would remember forever. A couple miles down I had to stop at a red light to cross a six lane highway that would be etched in our memory on the way home. Leaving the towns I could pick up the pace to make up lost time. We were at our height of enjoyment of the open road again. The wind in our faces, because when I was young I did not believe in windscreens. We changed places at the two hour mark and I was getting tired. Bob was a good rider too, I trusted him so I got some sleep. Laying back against the sissy bar I felt safe catching some ZZZZ's. I don't remember how long I was asleep, but Bob yelled. We were losing air pressure in the rear tire and he was slowing down. We put my bike up on the center stand so the tire was off the ground and proceeded to take the wheel off. About a mile or two back was a get station. We started walking hoping it was open all night. It was, and we fixed the tube and got ready to walk back. A cop had stopped in and we asked him for a lift back to my bike. He said he was not going that way. We left. About half way back he went past us and blew the horn so we would see it was him. I yelled at him and gave him the finger. Which I would regret. We made it back to my bike, installed the now inflated tire, and proceeded down to the shore with Bob in the front again. We rode a while, I was asleep again and I heard a siren in the background that woke me up. Bob was slowing down and pulling off the road. I got off the back of the bike still groggy from being asleep. The one cop came walking over to us. Because Bob was in front they figured it was his bike. The officer says, "License please". So I stepped back and reached in my jacket for my license. In a cycle jacket you have a pocked about the same place as a breast pocket on a shirt. The officer thought I was reaching for a gun, and grabbed me by the neck and threw me on the hood of his patrol car. He had his gun out in no time. All that ran through my mind was. Please don't end my life, it was just starting! He stuck his hand in my coat looking for my gun while pointing his gun at Bob. He says, "Christ, son! Never do that to an officer in the early morning on a lonely road", when he finally figured we had no guns. We explained what happened with the local policeman and the state officer said they had trouble with the local officer calling them to report trouble before and found it was nothing but revenge on the local officer's part. He checked everything and let us go. I thought I needed to change my shorts, but I was O.K. I'd like to say I drove the rest of the way the speed limit! But I kept the speed down for about ten miles to make sure the State Policeman was not following us. Then I sped up, to make up for lost time. Like I said at that age you think you can do anything and not get hurt. We made it to the beach without further incident and crawled under the boardwalk to sleep for a couple hours. It was already late and the places we could afford to get a room were closed for the night. You will learn about the rest of the weekend in Part Two. It gets better as we go along. Well not really good for us, but interesting. We all need good friends to guide us, and I have hooked up with great friends. Donna, Rob and Marcy will remain etched in my memory as people I admire and trust to keep me on the straight and narrow. That is a hard thing for them to do! Especially for Mary my life partner!! She has been doing it for the 41 plus years we have been married. Blogging has helped me to realize we can do it if we put in the effort to help ourselves get ahead. Since I met these friends, my manic side has flourished. My depressed side is now in the background, and will stay there! I am having too much fun working with my friends to be depressed again. Do not wait to get involved in life like I did. Take the bull by the horns and control your destiny. Don't waste another day on the fence debating, "Should I do it?" Check us out, and take control of your life. Let the world know you are in charge. Life will not push you around any more. Give us a chance to show you I am right in what I say. Do it while it is fresh in your mind. Get involved in life again! I just got my new AH-HA moment so I am adding it here! I told you I am an adrenalin junky. That feeling for a fix never leaves you. With age you would think it gets better. It does not. But let me tell you, I just figured out my new adrenalin fix is blogging! When I learn something new I have such a "high" of power that I feel like years ago when I was risking my life. I traded my bad behavior for my new behavior. Another benefit of my new lifestyle. You can experience the feeling of control and pleasure when you get a feeling of accomplishment and having control of your life again. Do something to take back control of your life. It worked for me, it can work for you too!! This Christmas Day Is Almost Here!! My youngest son Jeff and his life partner Heather dropped in last night about twelve o'clock from North Carolina. Of course with grand puppy, Junebug. Named after her grandmother June. Mary worked last night. So she slept from 6:30 this morning til 11:00. Jeff and Heather slept till 12:00. Driving eleven hours wears you out. Mary and I made a breakfast of bacon, eggs and fried potatoes to feed them. Over the Christmas cookies Mary had hidden so I would not polish off too many, we talked for hours. Jeff let us know he is trying to go to seminary here in Lancaster for his three year classes to get his Master of Divinity. Mary said I guess our trip to California to watch him graduate is off now. I said we can still go it we want. Hopefully I will have enough years left to travel and see the States. Friday after Christmas we are having Heather's parents over to get acquainted. I met her dad at the Manheim car show in town a few months ago. Jeff told me about his car he shows, so I looked for it. I introduced myself and said, "I'm Jeff's dad, and we're just about related". He laughed and said, "You're right". I told you I like to talk to people. Tomorrow is Christmas. The little big wheel of my three year old grandson is sitting in the living room. Mary says she just needs to figure how to wrap it. I am glad we can afford to give our family nice presents. Mary works very hard, like I used to. When she retires in a year I hope to have my business built up enough to supplement our reduced income. That is one of the big reasons I started my home business. My wife works tonight. When our kids were little, the older nurses worked Christmas Eve and morning so the nurses with young kids could be home to get ready for Santa, and watch the youngsters open their presents. Now that my wife and I have no little kids, my wife is the one working to let the nurses with young kids off. We have come full circle! Yes the little wheel is wrapped, It looks funny with the little flag sticking out from the wrapping. Mary has done the impossible again. Wrapped a little big wheel. Kyler will enjoy ripping it open I am sure. Aren't mothers and grandmothers wonderful. I know for a fact they are! Yes we had the perfect Christmas Eve snow. It only laid on the grass. The driveways and street are bare. Thank you Mother Nature for sparing us the hassle, but giving us the right ambiance. Sometimes things work out perfectly for us! Sometimes!! Well the holidays are fast approaching. Where does the time go? Since I am home on Social Security disability the last five years, I lose track of time. It just seems to rush together. I remember my dad told me the older you get, the faster time flies. He was right. I can't believe he has been gone thirty years already. His dad was killed when he was eighteen. I lost my dad when I was thirty-five. It does not seem fair some people don't get as much of the living years as others. We can't gauge how long we will live. Therefore we should make as much of the living years as we can. I'm cleaning the downstairs bathroom for the flood of family returning home for Christmas Day. My kids, their life partners. I like to call them that, you can get divorced, but a life partner is forever. At least that is the way I see it. I said before, my wife and I are really proud of how our kids turned out. We love their life partners like they are our own. The grandkids are precious. But sometimes we are relieved when they go home! LOL We will even have the three granddogs over Wednesday with our two cats. It will be a house full of love and noise! Whenever the time gets close for someone to arrive, I still get anxious and watch out the window like a little kid. When you read all about my actions, just don't tell anyone I am just a big softy! My wife has a magnet on the refrigerator that says, " If mom says no, dial 1-800-grandma". They all know I am a pushover, too. Love your kids and grandkids, for you don't know how long you will be with them. I've said for a long time I don't want to be lying somewhere hurt and dying and wish I had told my family I love them more. When my father had stroke number eight that took his life, just a week before I hugged him and told him I loved him. I was so glad that he knew it, because I could not talk to him when I got to the hospital. His being was already gone. That is the harsh reality of life. You can never guess when it will be over. Well thank you for letting me ramble on again. I feel better getting it out, I hope you feel better hearing about my adventures in the living years and how my view of life has changed. We all can change for the better. I know I have, and I know you can too! Well Bob is another thing entirely. When we get together something magical happens. Unfortunately it is usually something that gets us in trouble, or one of us hurt. Usually me!! I met Bob at the field of the group we joined called the Flying Dutchman. That was for anyone who flew U-control model air planes. You had two 52 foot control wires hooked to the airplane to make it go up and down. We flew in a circle, so you had to learn not to get dizzy spinning in circles! There was a main road out in front of the field, so we got a lot of people stopping and watching us fly. The motors ran on fuel mixed with oil. We made our own fuel. Still being in school, we did not have much money. I did not earn that much on my paper route. When we had a few bucks we bought a can of Missile Mist, which made the engine run a lot faster. We slowly got away from flying when we got our licenses to drive, and found girls! That was a whole new problem! We had to spend our money on gas and places to take the girls. A new pastime. I got a car when I quit my paper route. They made us save money each week from the paper route so I had over 900 dollars saved in my 3-1/2 years of having my first home business, peddling papers. It helped teach me the work ethnic. I drove my car for about a year and a half. I had sold my Honda 90 and graduated up to four wheels. For a while. In my senior year of school I was not concentrating on what was happening outside the window of my car, ran a stop sign and hit a bread truck. Demolished my car. Since it was my second accident (I had smashed up my dad's car earlier), my insurance was dropped. I was a walker again. When I got the insurance money I pestered my parents for a bigger cycle. Since my dad was a pushover for my begging, I got a Honda Super Hawk. Boy that name impressed me. It was a 305cc, about 30 horsepower. But to me it was freedom again! I had four more months til graduation. They went by. I don't remember much as I was in my prime again, on two wheels again. When we graduated I remember thinking my whole life was ahead of me. Boy, where did those years go? By now Bob and I were good friends. He worked at the Honda shop, and picked the main technician's brain to find out how to make my cycle faster. We did all the changes Ken told Bob about. Soon I had the fastest bike around. And you know me, I tested it every chance I got. I was known for lightning speed riding, and wheelies. On my 90 I could do a wheelie for a whole block. With the bigger bike, I could go even further. It was all balance, not power. We went to the shore on the bikes whenever we could. Bob had a slightly smaller bike than mine. But his was fast too. We rode a lot that first summer. 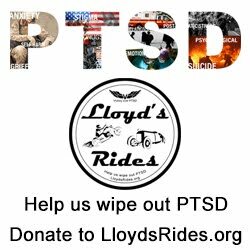 I was putting 10,000 miles on my bike every six months. And they were hard miles. That first summer I lost my license for 15 days because of the accident. So I tore my new bike down and molded and sanded the frame. I painted it Corvette blue, and had the only custom smaller bike around. Except for the diehard chopper guys. They had more money to play with than me. A motor during the break in period will run how you break it in. I ran my" Quarter Hawg" as I called it to the maximum RPM as was recommended. It was a good running stock bike. Because the bike had no oil filter I changed the oil every 500 miles. When we modified it slightly, it was a great running bike. I raced from stop light to stop light. The short distance was made for a high revving, very low geared, lightweight vehicle. I beat everyone I raced. The word got around soon, and no one would race me if they knew me. The same thing happened with my race car, but that is another story. I also practiced launching the bike with the throttle almost wide open. I was ready to take on all comers. My manic stage was running wide open. I was invincible. I started losing friends to accidents. Some jerk ran a red light and hit my friend on his cycle, who was launched over the hood, and slid under a parked car. His head did not fit between the car's frame and the road. But not me, I was invincible. You guys know what I mean when you are a 19 year old guy nothing can hurt you. The other friends I lost were killed in car accidents. You know the headlines in the paper. "Local youth fails to negotiate curve." Well, that is how my adventure called my life of motorized vehicles started. I know I am an adrenaline junkie. It is a problem far worse than booze, nicotine or drugs. For it is always with you and gets you higher than anything you can put in your body. I have learned to control it somewhat! LOL Like I say it is always there, and I miss the highs from it. I have substituted the love and companionship of a good woman, family, and a good life. But it is always there in the back of your mind, haunting you to get high again. Like hard drugs, it can take your life in an instant. Again, I hope this helps other adrenaline junkies to see you can survive anything if you put your mind to fight the urge to take a chance with your life. WE will SURVIVE this thing called the living years, at least for a while longer! Do not give up, but like me learn when to run so you can fight another day. Yes, I still have a motorcycle. When I cannot hold it up to ride, I will get a sidecar. I refuse to give in and not fight to keep my life the way I want it. Stick to your principles, and make a stand for your rights. Yes, I am an old fart, but I am learning new tricks. This old dog is not going to give in till my body just tells me it cannot go on any more. Then I will accept the fact I must meet my Maker. Watch out HEAVEN, I may organize the daredevils there into an act to get that feeling of belonging again. YIP YIP. Rob says I should say yip yip instead of bow wow, because I am more like a puppy than an old dog. Thank you Lord for giving me my share of the living years. Help me to inspire others to get the most out of their living years. Then I will be ready to meet you. I know now we are really not invincible, just some of us are luckier than most. Also Lord thank you for giving me wisdom to finally find out what you have given me is really precious, even though it took me most of the living years to figure that out! Thank you for putting up with my rambling. I hope I have inspired you to be thankful for what you have been given. Help others, and your life will be so much better. Mine is. If you want to send a reply, you can comment below. Write a blog so your learning curve can inspire future generations. We all need help and encouragement sometimes. I know I sure do! Well, Dave is a really a special old friend. We go back to eighth grade in school. We did not really connect til we both got cycles. Something about the wanderlust of a biker that bonds the friendship in people. Dave got a bike someone brought to the US after they bought it. Speedometer was in kilometers instead of MPH. We started riding together. When you ride beside someone, after a time you build trust together and take risks you don't take with a stranger. You tend to carry on to help pass the boredom of just riding. Dave liked to stand on his seat. I liked to do wheelies. We kind of find our own thing to stand apart. One girl that rode with us would crawl from one cycle to another while we were moving. Craziness seems to multiply when bikers get together. Dave and Danny bought a new BMW motorcycle after we got out of school. I kept my Honda. We rode everywhere. None of us had a car yet. And so the adventure began. Dave's brother, two years younger than us was really laid back. You never expected any craziness from Danny. One day we were waiting for the light to turn red and I was revving my engine and jumping ahead a little bit to show off. Danny got exited, which he hardly ever did. When the light turned green, Danny revved the bike and dumped the clutch. The big BMW stood straight up and dumped Dave on the back of the bike to the ground, right in front of traffic. The BMW was standing straight up and it was just luck Danny did not flip backwards. The muffler tips and back fender touched the road and it left scrapes on them. I'm sure Danny got his adrenaline fix that day. Dave's daughter asked me a couple weeks ago if I was there when this happened. I said yes. She said, "I knew you were there when Dave and his brother would do anything stupid". She knew carelessness happened when we got together! When Dave and I rode to the shore, for some reason nothing terrific happened. Not like when Bob and I rode together. Bob and I just seemed to bring out the crazy in both of us. The adventures with Bob will be a different story to tell you about later. It is good to get together with long lasting friends to say, "Do you remember when...?" I told one friend after we were both married and somewhat settled down that I should have been more careful when I was young and should not have done some of the crazy stuff that I did. He says, "Hoss, if you were different, you would not have the stories to talk about. People would not remember you like they do now." That is true, but I would not hurt so much either. My pains are my memories of my wild times. I am just glad I was watched over so good, that I can tell the stories. I appreciate being alive now in my later years so I can relate to people with my good fortune of still being here; to remind people to cherish their friendships and thank the Lord for taking care of us in our stupid actions of yesterday and today. Never give up, but learn when to run so you can fight another day. I think age helps to instill in you a little wisdom. I'm just sorry so many of my friends, when we were young, never made it past youth to have a long life. Thank you Lord for letting me have a long life! I appreciate it. Had breakfast this morning with David and Bruce, old friends from my motorcycle days. I met David in school through both of us having a motorcycle. I met Bruce after I finished school, at a speed shop I worked at part time. Bruce was having his El Camino being worked on and needed a ride home. It was a 396, four speed missile we used at the time to impress people. Especially girls. It was winter, and like I said I only had the cycle. I took Bruce home and since he rode too he did not mind getting cold. When I arrived at the diner today, Bruce gave me a hard time for not riding the bike. It was 32 degrees and still icy at spots. We like to kid each other. That is what we do to good friends. We like to laugh. Keeps us young at heart. At breakfast we talked about being young, dumb and riding reckless. How Bruce and I almost rear ended a Cadillac when we were airborne in a construction site because the road dropped four inches and the Caddie bottomed out, dragged the frame and slowed down. I hit my brakes, but being airborne at the time we did not slow down. HE was watching over us again, and we did not collide. Sometime I will talk about David's adventures with me, too! Like I said, I have been blessed over the years. Both in being protected and having good friends to see me over the hard times. 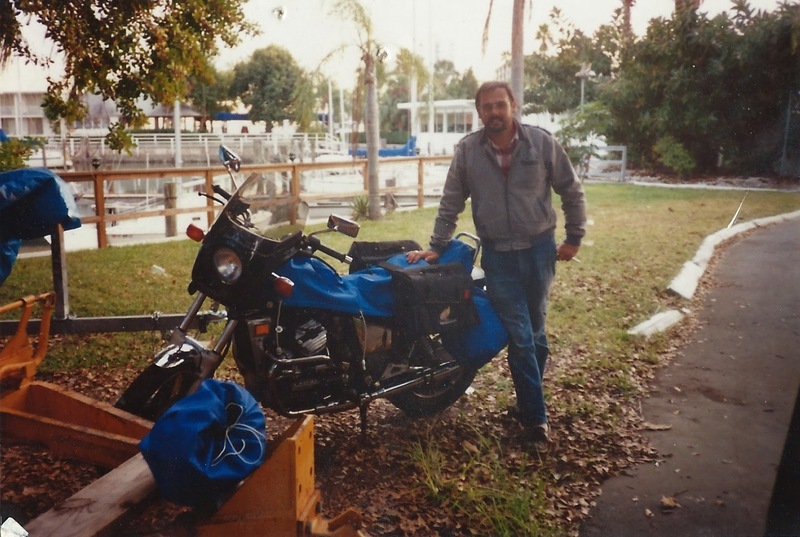 When I had the bad motorcycle accident in 2003, I had a lot of friends I did not even know keeping watch over me as I was lying in the middle of the road at the crest of a hill. They kept the cars from running over me til the police and ambulance got there. In the same accident two angels, paramedics (yes they were ladies) patched me up on the road and hauled me off. As I was lying there, I woke up for a few seconds and saw the lady holding my head between her knees so I would not move and hurt my spine. The other lady was cutting my clothes off so they could evaluate my injuries. I remember I felt cold. It was November. And like the typical male the first thing I thought of was that every guy has a dream of two wild woman ripping his clothes off. But believe me when you are lying in the middle of the road in pain it does not have the same delightful effect! I asked the angel holding my head if this was a dream. She said, "No hun, you will realize it in the morning, when the pain of this awful trauma will tell you it was real." Boy, was she right! Two days later I was lying in the hospital bed ready to go home. I had changed into fresh bib overalls that Mary brought in for me. My accident clothes were in pieces from being cut off me. The snap to my breast pocket was open and Mary being the organizer freak she was, reached over and snapped the pocket on my chest. When they scraped me off the ceiling she said, "It was not that bad". She tells me like it is. That's why I have respect for the ladies. They always know better than us dumb men. See when my old friends and I get together, we talk about the close shaves we have had. The miracle of being watched over and the fact that we survived this long. Tomorrow is December 22nd, Mary's birthday. I asked if I should wish her happy birthday or ignore the fact she is a year older like some people do. She said whatever I like. She always likes to do for others, but "whatever" for herself. See what I mean, really not worrying about herself, but always helpful to others. That is the reason I love her so much. Love does grow better over the years. My partner in life is my best friend. It took me a long time to realize that fact, too. Well I have rambled along too much again. Remember to keep your friends close. We all need that human connection. When we lose it it is like being in hell! It is not a good place to be. I am glad I am not there anymore, and will never be again thanks to all the people in my life that lift me up when I let things get to me! Learning not to be bullheaded all the time, learning when to run to fight another day. That is what I have learned. "Take a breather and evaluate your situation" is what Donna keeps trying to impress in my thick head. Hope it sticks and keeps me out of future trouble. I just went down my suicide driveway to get the mail. Put on the ice cleats my wife got me after the black ice incident two years ago. I have a dumb moment now and then, but I am not completely stupid. I hate being in pain while I am healing. Mary got me three suet cakes and two big bags of bird food and of course squirrel food since they hog the feeders too. I guess since it got cold they thought I was dead because their places to chow down were empty. Had to wait for some spending money since I am on a fixed income. We always find the money to help others. Sometimes it just takes a little longer. Like I always say, I may be down now and then, but I always come back to finish the fight. I AM IN THIS GAME OF LIFE TO WIN! Sometimes it just looks like I am losing ground. My friends Donna and Rob are awesome! And Marcy is great too! I asked Marcy if she could help me with one more problem. I keep figuring how to do things on the computer by all three of them helping me. The biggest problem I have is repeatedly having senior moments where I finish a project and close it out, or send an e-mail and as soon as I hit the button I think of something I should have done or said and have to go back and do it again. If anyone is really smart and can give us the cure let me know. I'm sure a lot of people would be very happy for the cure. Trying to find the great mysteries of life is just one of the many things I think of while my mind is flying a mile a minute. Anybody with bi-polar disorder knows what I am talking about. Well ladies you can be glad I am listening to the ladies in my life helping me more and more. Just a few hundred more years of you guys whipping me into shape and I will be ready to hit my goals. To be a better male of the species. Thank you ladies!! I went and ordered another set of diabetic shoes. I control my disease by watching somewhat what I stuff in my mouth. So far I do not need medicine. I got my first set of shoes about six months ago. I had to pick out the style. I got sneaker type shoes with a velcro strap. I got my shoes from my foot doctor, I see him about every four months to trim my toe nails and check my feet. Of all the problems I have had over the years, I don't want to lose my feet to this disease. He sent me to Hanger Prosthetics and Orthotics. They have offices all across the country. They are the ones who put the new tail on the dolphin that was in the news. I figured if they were good enough to do that, I would give them a shot at helping my feet. I got my feet measured and the bottom of my feet molded for the inserts. When I got my new shoes I could not believe how well they fit. Real comfortable. These were the first shoes I have had in over 40 years that have not hurt my feet. If you have problems with painful feet, see a foot doctor for help. I wish I had years ago. Well again, this was suggested by my wife. Yes ladies, I am starting to listen to my wife more. She does a good job of keeping me alive and in good condition. Wish I knew her when I was in my teen years. Would have saved me several trips in the ambulance to get patched up. Got Ahead of Mother This Time! Got the three neighbors, my suicide driveway and the circle clear in about two hours this afternoon. Had to take longer because I could not turn the chute to blow snow sideways, since I could not turn the aiming device. It was bound up and worm gear pulled away from notches to drive it around in ring. I called Carl next door and asked for his help in figuring out what was the matter, after he got home. Since Carl fixes this type of equipment every day, I figured he would know what to do right away. Well he came right over and had it operating in about 20 minutes. He put more pressure on the bracket that holds the worm gear against the part that turns, and squirted lubricant on the base of the pivot so rust does not bind the swivel. He said it was just him and the dog home tonight, his wife and granddaughter were away so he figured this was time to check it out. He thanked me for doing his driveway and walk. I said it was no problem because he did mine when I had the two operations on my shoulder. This neighborhood helps each other. I will be sad to see him leave, but I understand he has trouble with the steps of their bi-level. I said that was why we built a cape cod because I knew when I get older I did not want to do the steps. When I can't climb suicide drive any more, I can at least drive up and down. He laughed and says, "Well, I didn't think that far ahead". Good friends make for a better world, don't they? And I have a lot of good friends made in my 65 years of a good life. I have had quite a few good friends for over 50 years. I guess I make good friends because basically I think most people are good inside. There some who are rotten, it is a shame life makes them that way. And then there are some people who are rotten all their life. We read about them when they make the news, because we can't believe what they do. Thank you Lord for giving us good friends. Help the bad ones, that hurt people. And let us understand the bad ones, so we can help them adjust to be good. Thank you for watching over me and mine! Thank you for giving me this raving place to get my beliefs out. I hope some people are better off in life for knowing me. Thank you for my team and the Lady who is inspiring me to write everything down. We all need to be needed. I have been especially blessed in my life, because I need to be needed a lot! Well it snowed again last night. Could not get snowblower chute working right yet. Cannot turn chute to blow snow left or right. Did a lot of backing around to plow. Did three neighbors, my driveway and the circle. Just as I was getting done it started to snow again. Two hours of work for nothing. Well that is how it happens. That was a good practice for the real thing later tonight! Need to get path cleared on my suicide driveway as in the morning we are leaving to visit my wife's older sister about an hour away. She had surgery lately because her breast cancer returned. Bummer! Had a friend have some breast tissue removed a few weeks ago. Thankfully not cancerous. I pray for God to help us find a cure for all our aliments Maybe some time in the future. When we travel tomorrow I know He will watch over us. I am still afraid of black ice since my incident in my driveway. Once you are bitten, it is not easy to forget. I think it started to snow again after my hard work just to keep me humble. You don't want to get too high handed, or you will be slapped down. Keep it humble. That is better for your ego. My arthritis is really bothering me again. Like Mick Jagger sings "ain't It a drag getting old" but it does beat the alternative. You can thank Marcy for the good look of my blog. She corrects my mistakes and keeps me motivated. It's great to have good friends to count on when the going gets tough. Thank you for checking out my blog. I hope I inspire you to be uplifted and stick up for yourself. It took me a long time to appreciate my good life. Encouragement helps us all to keep a good attitude. Our unconscious mind needs that jolt of goodness to stay on the good side of life. Thank you to all the people who have influenced my life these 65 years. You know by now I have new friends prodding me along to make something of myself again. I am renewed in my fight to come out on top again! When I had my electrical business I gave a lot of money and time to the local youth group to help do GOD'S work. That really felt great. I was down for some years, but I am on the way back up again. I will not fail to keep myself going again. That part of my life is long gone! I will donate to His work again! I know with my friends pushing me to reach higher than I have ever soared, I will make it in the home business world. They will not let me go to that dark place ever again. Like the song says, "I will survive". Everyone needs to associate with people like minded, to soar to new heights. I have found my team and you must too. Since I discovered blogging, my life has changed drastically. I now have a reason to rejoin the human race instead of being a vegetable in front of the TV. Being forced into early retirement and being handicapped was a real bummer. I tried to work part time, but it did not work out. I could not keep up labor wise. I felt useless and wasted five years of my life. This changed with starting my blog. I feel useful again. And my never give in philosophy, (gee that is a big word, glad for spell checker) returned with a vengeance. I am an old dog, but far from the grave! Now that I have hooked up with a mentor, my attitude is about five hundred percent higher! She knew the right buttons to push in me. With Marcy leading me, "Look out world! We are going to take you by storm!" Thank you from an old dog learning new tricks. I will stay positive! I came home from watching my grandchildren and my wife said she wanted to change the wrapping from my lost battle with gravity. I said first I wanted to change the spot light over the sink which burned out. I got the step ladder from the garage and a new fluorescent bulb and proceeded to get ready to climb the ladder. My wife said no she would get up and do it. Guess since I had one hurtie on my arm she has to patch up, she did not want to take a chance since my balance is bad and I sway when I an up on a ladder. Thank you Mary for watching out for me again. Thank you Lord for blessing me with a wife who is a lot smarter than I am. Yes It's Me Raving Again! It's about 28 degrees this morning. I went to the hardware store to get some more sand for my suicide driveway! It is ice and snow free at the time of this writing. Snowblower chute is stuck, so I must tear it apart to see why it does not turn. Must get it running again. No snow expected for several days, but cannot count on weatherman. My wife cannot go in and out of garage if icy and as she is a charge nurse, she is like the mail people.Must go. My angel has taken care of me over the years. THANK YOU LORD! My motorcycle is snug and chilly in garage on the battery maintainer waiting for warm weather. Much like me. The first year out of high school all I had was the motorcycle. Because of two car accidents I had, insurance was too expensive so I rode the cycle all winter. When I was dating my wife I had a car a few years later. The first Christmas we dated she came from Reading, about an hour away and slept in my brother's room at home. I lived in my parent's basement. On New Years we were triple dating and saw a movie. That night it snowed about six inches and when I woke up about 7:00 in the morning, I saw the snow piled up and got my cycle out for a ride before Mary got up. Like I said before I usually acted with no thought to the outcome. I made a few runs around the Loop Route again, saw a friend walking and gave him a ride. Going around a sharp curve in town I could not hold up the cycle with him on and we went down, sliding on the snow. Not hurt, we got up and rode off. I was gone about four hours. I'm sure Mary thought I was nuts, but my parents were used to the calls that I was hurt, and would come and get me. I loved her the first time we dated and wanted to get married. I guess I went too quick for her and scared her off. Luckily when she came back a year later I was just a little less pushy about hitching up. I waited three more months till I talked about marriage. It worked, this time she was ready, and the adventures began. But that is another story. I hope my ravings give you a positive outlook in your life. If a dumb klutz like me can blunder through life and come out of it most of the time, I know all of you can too! Just do like I do, pray every day for guidance and protection for the ones we love. It has kept me safe for 65 years, I am not about to change now. It works for me. Although I am changing my reckless way of doing things. My luck can't last forever. Or with His help, maybe it can. I just don't want to push it too far. Thank you for reading about my trials and how I am trying to better my life. Last night we had the third plowable snowstorm in seven days. This one was about four inches of snow with a quarter inch of rain on top. Temperatures overnight usually below twenty degrees. Since my wife worked last night I was out clearing snow after it turned to freezing rain. When I pulled into the garage after forty minutes of blowing snow, the tractor and my cycle helmet were covered with a layer of ice. Yes I wear the helmet when it is snowing or freezing to keep my face covered with the plastic shield. I finally wised up enough to stop taking too many chances. Age does give us some wisdom! Of course because the snow had changed to freezing rain the driveway was a skating rink. Also because the driveway rises about fifteen feet in two and a half car lengths, I call it my suicide drive! I have learned to respect it in thirty years of living here. About two years I went down the hill in my crocs to get the morning paper. Did not look at all frozen even though it was about twenty five degrees. You guessed right, I hit black ice and my feet went out from under me. Went on my rear, and hit my head on the black top. When I go down the driveway I always carry my cell phone in my breast pocket of my bibs. I know you are waiting to find how MOTHER defeated me again. Not wanting to stand again I crawled to the grass at the side on my hands and knees to gain some traction on soft ground. Yes again I ripped my knees crawling on macadam. Now you see why I wanted to marry a nurse. The neighbor girl was walking her dog before school and raced over to help me. Stacey was about fifteen years old and about 110 pounds, but she helped me from my horror story to make a good outcome again. This morning about 8:30 I heard my neighbor start his snow blower. I was out sanding the driveway from 5 AM to 6 AM so my wife could get up the driveway into the safety of the garage. I saw my neighbor's wife leave about 5:30 AM. She is a nurse too and was going for her day shift job. Aren't women great when it comes to doing what's good for us guys. Lots of people are out in this mess. Bless them all for their service so the world can keep going. I scraped my driveway again, had my neighbor move his cars from the circle, and got the snow removed so we can get in our cars and not fall on the ice. His son and he helped me with my sidewalk. We also did the neighbor on the other side of me, and I did his driveway with my tractor. Did his driveway three years ago when he went to a business training, for two snows in three days. Plowed to widen the road out to the stop sign too. Said to my neighbor when we finished Carl's walk, it feels good to help each other, like I am good for something again. Both neighbors helped me when I was healing from operations. And Carl had two operations on his neck (pinched nerve trouble). They have their house up for sale. It is a bi-level and Carl cannot do the steps so much anymore. Sorry to see them go, been neighbors for thirty years, too. They all are good neighbors. There are five houses on our circle and all the neighbors are kind and helpful. My life has been really good, except the times I did not listen to my wife. My women friends keep reminding me of that fact! You know how us guys are we forget to listen till we are in pain, then we remember! Check back and see later this winter if I beat MOTHER again. I wear the ice cleats my wife bought me. Mother Nature is not going to get me with black ice again......I hope! Blowing and shoveling wore me out, better than my days in the gym, just a lot more slippery. Will sleep for a while, then see what I can get into. Ask my wife, living with me for 42 years, never a dull moment, just a painful one once in a while. Just took grandpuppy out to do her business in the snow. She is a miniature Yorky, about 1/3 the size of our cats. Did not go, probably use the carpet again. My wife just changed my dressing from my lost battle with gravity six days ago. Because I have a gash about six inches long and 1/4 inch wide, every time we pull the dressing off it pains me, even though she puts cleaner to soften the scab that sticks to the gauze. Just glad the gash is not much larger. I am glad they do not use tape to hold the patch, but wrap with gauze. When I was thirteen, I was cleaning a chicken house and stepped back into the trap door to push crap down from the fourth floor to the first floor to be scooped up. Luckily I hit the edge of third floor and did not go any further. Doctor taped my whole back. It was itchy, and pinched a lot, but the best part was when he grabbed the corner and ripped it off. He put six casts on my back and I think he enjoyed every time he yanked them off. Like I said before I spent a lot of time in my life getting patched up and healing. I think that is why I wanted to marry a nurse. When you spend a lot of times waking up from an incident and you see a women in white taking care of you it makes an impression. I was in my best friend's wedding. Jim married Donna from Baltimore. She had gone to Reading Hospital nursing school. They met thru Ed and Ruthie's wedding. I stopped over to see Donna Saturday nights when Jim was playing in a group. I figured if Donna trusted me and thought I was a nice guy, she would fix me up with one of her nurse friends.Well it worked. I met Mary at Jim and Donna's wedding. Of course I got drunk and wandered off from the party.They were out searching for me. Even checked the neighbor's pool. I had the keys to our hotel room, so I went to the front door of a house, told the guy I was in a wedding party and lost. He called a cab for me. Luckily the hotel address was on the key. I was standing out front waiting for the cab, when a car went past and I heard the tires squeal from them hitting the brakes. It was the guys looking for me. The good Lord pulled my bacon out of the fire one more time. The Lord has watched over me all my life. As a youngster I got croup a lot and was in the hospital. One time I was in the oxygen tent, could not breath by myself and the oxygen ran out. My dad was sleeping in a chair. Someone woke him up and he alerted the nurses I was not breathing right. My Dad was visited by my guardian angel. One of many times I was helped out of a jam. I found a way to alleviate some of my pain in my writing. Knowing my following generations learn a little bit of our history makes me feel satisfied. I also like the comments I get from strangers that reading about my faults and stupid actions helps them in their lives. To the fellow who said "I can relate with your adventures and hang in there brother", thank you. It makes it easier to be up at 3:30 in the morning getting all this off my chest. Wait till I start telling you my adventures about Bob and our adventures on the motorcycle. I have thought about writing about my exploits for years. It wasn't till Thanksgiving vacation that Bob from Virginia visited and told me he is getting his second novel published, I thought I could write too. Bob and I went to the same school. We have been friends for about 59 years. I still remember like it was yesterday when we were 12 years old and having a pea shooter battle. Bob rode away from us on his bike, turned back with his head and was shooting us with his pea shooter and rode into the side of a tractor trailed on the main road. Some of my friends were as wild as I was. All Bob did was break his shoulder. He was being watched over too. He had a bad car accident at 17 too. And he was watched over in Vietnam. I am far from the only one who is blessed. Do I hate the person who caused my accident and left me lying in the middle of the road for dead, and took off so he would not get in trouble? Do I hate the person who killed my grandfather and got away with murder because of the times and another lenient judge? No, I do not hate either person. When you have hate in your heart and cannot forgive, you are only hurting yourself. If you cannot let go of your hate it will eat you alive from the inside out. I am not saying I do not dislike the people for what they do in the world. They have to live with their decision! I think I have wronged people along the way of life and I am sure people thought bad of me at the time. I lost two girlfriends who were scared of my drinking so much. When we first dated, my wife told me she wanted to break up, she found someone else. I was broken hearted. I loved her from our first meeting and was sure we belonged together. To console myself I accepted a blind date and got involved with Vicki. I thought to replace my lost love. I would have married her, even though it was to replace Mary. When Mary came back into my life a year later I was dating Vicki, and started up with Mary again. Telling Vicki I was dating Mary was really hard. She said, "I knew it because you always talked about Mary". I broke up with Vicki, at the time it was not hard for me to do. Later when I realized how I hurt Vicki, I hoped she got over the pain and has had a good life. After we were married Mary said she left left because I fought with my mother so much, and was afraid I would treat her bad. After a couple years with my mother she realized my mother fought with me as much as my dad. She ran me down every chance she got, my dad too. That is the first time I thought about someone getting hurt by another person and I started to develop my feelings about you must not hate, because it only hurts you, not the person it should. When I met Mary after Donna and Jim's wedding (it was at their party in November), I was the type of guy who did everything on the spur of the moment. Never thinking of the consequences 'til later. I was pretty loaded when I got to the party. I was there a while when I went to the kitchen to get another drink. Mary had heard about me, as Jimmy's wild friend and the dumb stunts I pulled at their wedding. I rounded the corner to go in the kitchen and this girl was standing there. I grabbed her and planted a passionate kiss on her lips. I started talking and we went into the living room and got acquainted. We ran out of Jack Daniels which was my favorite drink, and I asked Mary to go along to get another bottle at my house. She asked Donna if I was O.K. to go with. Donna said of course. That time I spent showing Donna I was a nice guy was just because I wanted to meet a friend of Donna's. Both girls trusted me. I was a nice guy after all. We got the bottle of booze, and returned to the party. I stopped in two places to use the toilet when we went through town where all the motor heads ran what we called the LOOP ROUTE like in the movie American Graffiti. So began the three month courtship, 'til I screwed that up too. Mary told me years later she thought something was wrong with me because I went to the toilet so much. Isn"t it something how I seem to botch things up, but it usually works out. I am truly being watched over. Mary cannot hate anyone, that is where I know I developed my feeling of forgiveness.Without my wife's love I would not be alive today. I tried to join the Navy before I got out of school at 17 years old, and I was rejected because my blood pressure was so high. I would have died of a stroke like my dad and I would not have made it to 75 years old like he did. Mary keeps an eye on my blood pressure and every thing I do wrong, she lets me know. When I got into the hospital when my dad collapsed at home and was hauled off to the hospital unconscious like I was so many times I met the doctor at his bedside. The doctor knew me, he worked on me before. He said the man you know as your father is gone, his brain stem died. And that is where the person you know as your dad lies. How long do you and your family want his body to live? That was the first time I realized how fleeting life is. That is the biggest reason I want to write everything down so it does not die with me. I need my life to mean something for my next generations to appreciate the time we have in the living years. My dad leaving this life was the first real shock to my idea of being invincible. Yes I can lose this fleeting thing called life, so I want my life to touch someone and have meaning. Well enough of my philosophy of life. I don't want you to think I am a big thinker, I am just a regular guy who had my "A-ha!" moment and saw life for what it is. A short time to find happiness, friends, family, and time to find love for one another. I hope I have touched a spot in your being and made an impact on people's lives to use the time we have left to make the a place where everyone is glad to be. Glad for the life they have chosen, and glad to forgive and help their fellow man. Well, now you see I am not the big tough guy people think I am. My nickname is HOSS from the show Bonanza. That is a mountain name for a large, gentle man with a big heart. I hope I live up to the name. I keep telling my wife if she does not put in my obituary my name as HOSS, most of Lancaster County will not know it is me. Not a lot of people know me as Randy, just Hoss. Thank you for putting up with my rantings. I hope you learned something from what I have learned in life. It has caused me a lot of healing and pain over the years. But it was worth every moment of pain and despair to make me a better person. Yes ladies, I am learning to listen to my wife like the e-mails I get about wising up and listening to Mary. Thank you for reminding me. We men meed a refresher course from you to keep us alive and on the straight and narrow. It is a hard line for us to follow. I am writing this all down so my future generations can understand where we came from. Any help to other people is a side effect so I hope help others understand why they are the way they are. Most of what I found out about my ancestors I am learning from my older brother. He only lives 6 miles away, but we do not see each other often. We talk on the phone every couple weeks. He is eleven years older than me, and my younger brother is 7 years younger than me so we were not close growing up. My younger brother lives about an hour and a half away so we do not communicate much at all. My dad was really wild when he was young. That is where I get it from. My mom always fussed about my dad's drinking when he was young, and says he ruined his stomach. That is why he had a lot of stomach problems when he was older. She used to laugh about his racing with his Model T Ford and how they used to race the train to the crossing. One time the train was so close, it ripped the spare tire off the back of the car. My older son gets his wild side from me too. He used to ride his skateboard down our driveway. It raises about fifteen feet in about two and a half car lengths. He got up to a pretty good speed before he hit the circle. Luckily we were at the end of the beginning of the circle so there was little traffic. All three of my kids have that never die attitude. But my daughter and younger son are not the daredevils my older son and I are. I feel that is one of the good points of our ancestors. The clan came to the states from Ireland and Scotland during the potato blight of the middle 1800s. There are a lot of Caldwells in the eastern part of the States. There are even a few places named Caldwell. I feel the booze and other problems were brought over along with us. When my older brother and I talk on the phone, we agree we do not have a lot of healthy genes to pass along. But I feel the good sides outweigh the bad ones. If you look up Caldwell on the net there are a lot of professional people among our namesakes. My ancestors settled in York first, about a half hour away from Lancaster where I grew up. When we took the kids to Gettysburg to tour the battlefield we found on one monument the names of those who fought in the battle. Sixteen Caldwells fought in the three day battle.We don't know how many were direct relation, but none of the 16 were killed. That was a miracle in itself. About 1930 my dad's dad was coming from York where he had settled up his dad's estate because of his dad's death and was in a car accident. His son in law was driving my dad's brothers Stutz Bearcat auto and someone ran a stop sign near home and hit the car. It veered off the road and my great grandfather was thrown out and hit his head on a rock. His body lived for three days, but he never woke up.When they went to court about the accident the judge told my grandmother she got nothing for his death, since she had four sons to support her. 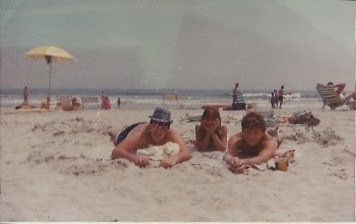 My dad was 18, and his younger brother was 13. My grandmother was living in the farmhouse with the kids, as my grandfather was a hired hand on a farm. I grew up in the house on the edge of the farm my parents built. Because my grandfather died the farmer needed a new hired hand. My mother's parents were hired hands on a farm about 10 miles away and were looking for a new job. I don't know why. My mom saw the ad in the paper, told her dad and he got the job. My mom's mom was told to use the big house on the farm, but she did not want such a big place to keep up. So my dad's family had to get out of the hired hand's house.My dad stayed as a hired hand in the house.That is how my mom and dad met. I never got to know my dad's dad, but if he had not been killed like he was, I would have never been born. Its funny the hands life deals you sometimes. My mom's dad eventually bought four lots from the farmer along the road and built his house and sold my parents a lot a lot and mom's brother a lot. Her third brother bought a lot on the far side of the field and built his house. The extra lot beside my parents' became the garden for my mom's dad and my dad to grow their garden. My mom's dad also gardened most of his yard and had a chicken house. The farmer was owed a lot of money a guy could not pay so he got several hundred trees. My family planted the trees in the field and the quarry that was a line mining operation. The property is currently for sale, so the houses and forest probably will be gone and developed. Its funny how life takes twists and turns, but your life is what you make of it. Start a blog about your life and ancestors, so future generations have an idea where they came from. If I, a 65 year young, not computer smart old dog can be helped to understand how to work these new-fangled machines, you can too. If you do not leave a legacy of where you came from, it will die with you. Like Popeye, Why I Am Who I Am! I am a very complicated individual. I didn't plan to be, my up bringing and events made me that way. I inherited a lot of baggage from my ancestors. My dad's line was from Scotland and Ireland. My mom's line is Pennsylvania Dutch and German. Alcohol and nicotine play a big part in both families. I am bi-polar, I found it on the Internet, when I was looking up hearses as I am fascinated by death cars and took a survey to make sure I was not thinking too much about death. I went to a Doctor and she said yes I am manic depressive. I fought with medicine about six months till they found the right mixture to control me. If you have mental problems get checked out. I am on the smallest amount of drugs for my condition, but it has changed my life. My mind goes a mile a minute when I am manic, I think out of the box, Rob says, but that is good as he likes a lot of my ideas. My mom was bullied by her dad and two younger brothers. She told me how she was made fun of for her red hair. When she had my older brother, her dad said he is not a grandfather till his sons have kids. I remember the turning point in my life, when I was strong enough to hold my mothers hand so she could not hit me any more. I started to stick up for myself. In school I was bullied by older boys. They would hit you on the shoulder hard to see if you take it. I showed no emotion when hit and after a couple years I was accepted and the hitting stopped. My wife and I installed the work ethic in all three of our kids, and It stuck. My Daughter has three wonderful kids and is a stay at home mom, probably continue her healthcare career when three year old son is in school. Oldest boy is head of Autism at hospital here, and he has bi-polar too. He controls his without medicine, he is president of local mental health association too. Youngest boy is studying to be a minister. All three have great life partners to help them through life. I have arthritis bad since I was seven or eight years old. I also have issues with obsessive, excessive problems. Have not seen doctor for this yet. People on my team saw that when I started e-mailing my business. I was on the computer about eighteen hours a day. I don't do anything half way. They kept at me to slow down and I finally gave in. I never give up, but I am learning when to run so I can fight another day. I want to thank Donna, Rob, and the super six team. Also my new friend Marcy. They are helping mold me into a better person and great business person. I feel better in telling you this, as I know it will help someone who went through what I did. These newer friends are what we all need. Someone that is distant from us and can offer constructive criticism. Tell us what we need to know. If you need help for some problem, reach out and get it. It will change your life for the better, IT is doing that for me. Check back, as I will try to write a lot more. Sometimes I am down, but far from out. Never give up, but learn when to run so you can fight another day. GOD bless and have a great day. When people ask me how I am doing, I always say GREAT, as when your mind hears great it tries to make you feel great, not bad. Your mind needs built up and you will feel great. Yes, from my last blog, I was down on the floor, but far from out. And I finally learned to listen to my wife. She loves me and is looking out for my best interests even if I do not. Sometimes It takes a while, but the mind learns to change for the better. My Story of Renewed Life. We Must Never Give Up!